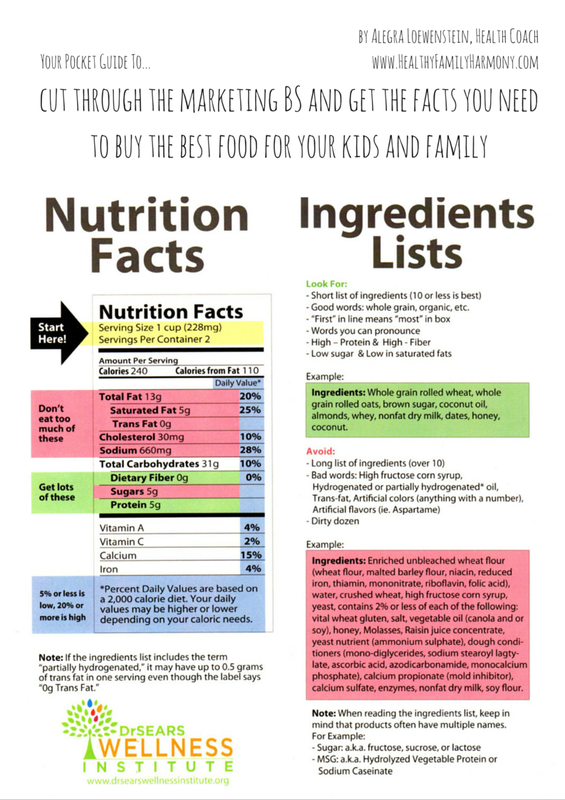 Your pocket guide to cut through the marketing BS and get the facts you need to buy the best food for your family! If you are not part of the Meal Planning for Healthy Family Harmony eCourse yet, be sure to sign up here. This pocket guide works best with support! Be sure to print this pocket guide and take it with you to the store. Whitelist my email address so you won't miss any of them. Join my Facebook community to share your achievements and get ideas when you hit challenges. Always be sure to tag me if you want a reply from me. I pop in a lot, but don't want to miss anything you write! Book a complimentary Discovery Call with me to find out how I can support you on your journey to Healthy Family Harmony! And of course, if you like the Pocket Guide or Meal Planning for Healthy Family Farmony, please invite a friend to sign up, too!